(UPDATE 1/19/2014) New post with nuclide analysis result. This is a follow-up on yesterday's post. TEPCO released the video which was being taken by the robot on the first floor of Reactor 3 and which was being monitored by a TEPCO employee who noticed the water. The flow looks significant and fast. 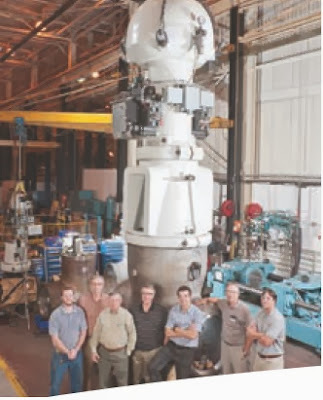 The main steam isolation valve (MSIV) is one of the two most important safety systems in a nuclear reactor (the other one being the control rod drive mechanism). It seals off the water/steam from the Pressure Vessel in case of an emergency (like a big earthquake). This MSIV system is not supposed to fail. If the MSIV of Reactor 3 was damaged during the March 11, 2011 earthquake/tsunami (either one) and the water has been leaking ever since, the safety standard for nuclear reactors around the world may be impacted, says one nuclear researcher that I follow on Twitter. The 1st floor of Reactor 3 is where the human workers ventured in in June 2011 for the first time since the start of the accident on March 11, 2011 and took the smear samples from the floor. The result of the analysis of the smear samples, if it was ever done, hasn't been released. Packbot was sent on November 18/19, 2011 to clean the hatch rail with what looked like a white towel. The result of the analysis of what the towel caught, if it was ever done, hasn't been released. If the leak from (or from near) the Main Steam Isolation Valve is from the start of the accident, that means the MSIV couldn't withstand the earthquake and/or internal abnormal pressurization. This is bad in the heart of the BWR safety design. It could affect the safety reviews worldwide. Browsing the articles by the mainstream media in Japan (eg. Yomiuri, Mainichi/Kyodo) on this incident, it seems to me that they don't know what MSIV is or its importance. (UPDATE 1/18/2014) Video, additional information in the new post. The water is flowing fast. No images, videos, details yet. Today (January 18) at around 2:40PM, our employee who was monitoring the images taken by the camera mounted on the robot for removing the debris from the Reactor 3 building found the water running, at 30cm wide, from near the door to the Main Steam Isolation Valve Room located in the northeast area of the 1st floor of Reactor 3 into the floor drain funnel near the door. This water is flowing into the floor drain funnel that connects to the floor drain sump in the basement of the reactor building, and there is no leak from the reactor building to outside. There is no statistically significant change observed at the monitoring posts and in the plant parameters (amount of water injected into the reactors, temperatures at the bottom of reactor pressure vessels, temperatures inside the containment vessels, etc.). We are currently investigating the situation of the leak and the cause of the leak. The ambient air dose rate near the leak is about 30 millisieverts/hour. Compared to other reactors that had explosive events (Reactor 2 did not have hydrogen explosions like Reactors 1 and 3, but some kind of event did seem to happen in the Suppression Chamber), Reactor 3's radiation levels are markedly higher. So far, no news of major or minor hiccups whatsoever, and the world hasn't ended yet. "We were talking past each other, and we didn't even know it." --What did you think when an explosion happened in Reactor 1 in the afternoon of March 12, 2011? "I thought it was a hydrogen explosion the moment I saw the image. I don't remember clearly, but according to what Kenichi Shimomura, who was a cabinet counselor at that time, wrote, I calmly explained that "hydrogen leaked into the building, and since there is hydrogen (sic) [probably "oxygen"] in the building an explosion happened." I think it is probably true." "From this explosion on, Prime Minister stopped believing me. He asked me if there were other experts at the Nuclear Safety Commission. I answered that Acting Chairman Yutaka Kukita was also knowledgeable. He told me to "call him here immediately". So I had Mr. Kukita come, and I returned to my office." --Around the time of the Reactor 1 explosion, the debate was ongoing on seawater injection [into the reactors]. "In discussing the seawater injection, it would not be odd if I had been asked by Prime Minister whether there was a possibility of recriticality and I had answered there was a possibility. I have no memory of being asked." "Even before the hydrogen explosion, Minister of Economy Banri Kaieda was chairing a meeting in the PM Reception Room (on the 5th floor of the PM Official Residence), and we were talking about the potential problems of seawater injection. I insisted that seawater be injected as cooling the reactor core was the first priority, even though it was not a long-term solution because of salt deposition and corrosion problem. I don't think Prime Minister would order a halt in seawater injection. The issue of halting the seawater injection arose, as pointed out in the National Diet accident investigation commission, from an arbitrary decision by TEPCO's Fellow Ichiro Takekuro. In any way, there was no halt thanks to Plant Manager Masao Yoshida." "I realized later when I read books by politicians including Mr. Tetsuro Fukuyama (then-Deputy Chief Cabinet Secretary) that everyone had thought recriticality meant nuclear explosion. It is obvious from accidents like the JCO accident that even if criticality happens that's different from nuclear explosion. But we were talking past each other, and we didn't even know it." --You went home late that night, but was called back soon to the PM Official Residence. "I hardly slept. But on March 13, I began to have more time [or "peace of mind"] to listen to other experts. Discussion with Dr. Kukita was particularly valuable, and we both agreed that the most frightening possibility at that time was the phenomenon called "High-pressure Melt Through" (HMT). HMT happens when the melted fuel melts the Pressure Vessel wall thin, and the melted fuel gets ejected through the Pressure Vessel due to the difference in pressure between the Pressure Vessel and the Containment Vessel. It is possible that the melted fuel could pierce through the wall of the Containment Vessel." "After the hydrogen explosion of Reactor 3 on March 14, I advised that the relief safety valve of Reactor 2 should be opened quickly. I was worried that HMT might happen in Reactor 2, so I thought it would be prudent to equalize the pressure in the Pressure Vessel and the Containment Vessel. Plant Manager Yoshida insisted that preparation for the vent be done first. If the relief safety valve is opened, the water inside the Pressure Vessel becomes water vapor and flows into the Containment Vessel, leaving the fuel heated without water. So you cannot open the relief safety valve without preparation to inject water. It is a difficult decision." --In that sense, it was lucky that the melted fuel dropped from the bottom of the reactor. 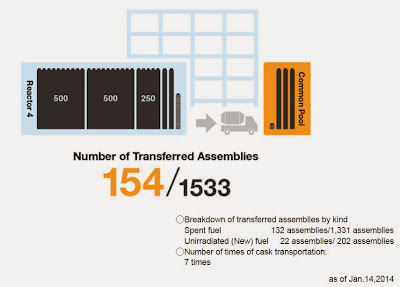 The situation at the plant grew more serious as Reactor 3's high-pressure core injection system stopped. 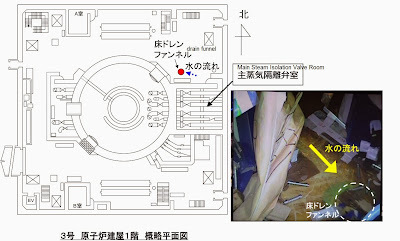 It is interesting to note that, according to Dr. Madarame's March 13, 2011 schedule, he was debating with another nuclear expert (Kukita) about the worst case of "high-pressure melt through", in which the melted core (corium) will eject from the Pressure Vessel at a high speed, possibly piercing through the Containment Vessel, while telling the politicians a more "benign" core-concrete reaction scenario. If HMT had happened in Reactor 2, as Dr. Madarame and Dr. Kukita feared, it may have been an immediate evacuation from the plant. The worst case that PM Kan says he received (but decided to sit on it for months and deny the existence of the report) may have come true then. and says his explanation that there would be no hydrogen explosion is technically correct. --When did you realize that the situation was much graver than the initial assessment? "I knew something was wrong when I was told that the pressure of the Reactor 1 Containment Vessel was rising, past midnight [of March 11, 2011]. Maybe the DC power stopped, I thought. Still, Reactor 1 could be cooled by the isolation condenser (IC) even in the loss of power situation. Later, I heard the cables from the power supply cars couldn't be connected, or that they needed more cables than available; I speculated that the switchboard was under water, and they were trying to supply power to individual pumps. We (at the Prime Minister's Official Residence) were not aware of what was going on at the plant and what they were trying to do. Human psychology goes from extreme to extreme. I started to feel extremely desperate." "It was a mistake [PM Kan] to feel relieved"
--The vent you suggested the night before wasn't carried out by the next morning. "The purpose of the vent had vastly changed from the previous night. By that time [morning of March 12, 2011], it could be assumed [I assumed] that the reactor core melted, and the pressure inside the Containment Vessel was rising (because of water vapor and gas). The vent was necessary in order to protect the Containment Vessel (from damage)." --In the early morning [of March 12, 2011] you expanded the evacuation zone to areas within 10-kilometer radius. 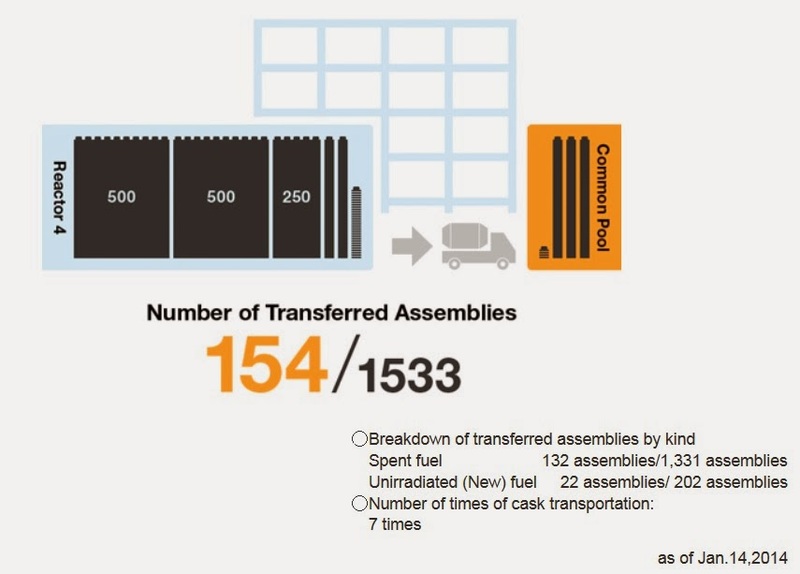 "I thought 3-kilometer radius was not enough if the reactor core melted." --If your assessment of the situation was that pessimistic, why did you accompany (then) Prime Minister Naoto Kan in the early morning on a helicopter and told him "there would be no hydrogen explosion"? "Prime Minister asked me what would happen if the reactor core was exposed. I answered hydrogen would be generated. He then asked me if that would lead to an explosion. So I answered there would be no explosion because the Containment Vessel was filled with nitrogen (and there was no oxygen). My explanation is not wrong. Former Prime Minister Kan writes in his book that it was a "big mistake" to feel relieved by my words, but my explanation is not wrong. It was a mistake (for Prime Minister Kan) to feel relieved." "I think I heard, right before we boarded the helicopter, that they were about to do the vent. So I thought the vent would have been done by the time we arrive at the plant." --If what you say is true, then you would have landed on the plant right after the vent. But no one on board the helicopter was wearing the protective clothing." "I didn't even think about the protective clothing." 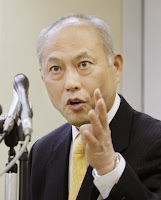 --It is said that Prime Minister Kan, on getting off the helicopter, shouted at (then) TEPCO Vice President Sakae Muto, "Why aren't you doing the vent?" So the prime minister knew that the vent hadn't been done. "I didn't hear the conversation between the prime minister and Mr. Muto, but I suppose the prime minister must have been told about (the vent not being done yet). I was told in the conference room of the Anti-Seismic Building [at the plant]. The prime minister may have used strong words about the vent because I emphasized to him the importance of the vent when we were on board. The vent, which was made extremely difficult because there was no power at the plant, was further delayed because of Kan's hastily arranged trip in the early morning of March 12, 2011. The hydrogen explosion was not from inside the Containment Vessel as Dr. Madarame had feared but in the building, either on the 4th floor or the 5th floor (operating floor), with the evidence suggesting the 4th floor, when the hydrogen gas was finally vented but came back into the building instead of going to the exhaust stack. In other words, the vent may have caused the explosion after all (that was the conclusion of none other than NISA in December 2011). If the vent had been successfully carried out by the time Mr. Kan and Dr. Madarame arrived at the plant, they may have been just in time to witness the Reactor 1 explosion firsthand. 1. Who is more like the "leader"? The one who's not running. "To deal with nuclear power plant issues is a very worthwhile job for me as a governor." "If Tokyo shows it can survive [and prosper] without nuclear power plants, it can definitely change the whole nation." For Mr. Koizumi (pictured right), January 14 was not Hosokawa's birthday, but the day, in the old lunar calendar (December 14), when 47 samurais took revenge on behalf of their lord who in their minds suffered injustice. Lunar December 14 is not January 14, but that's how Koizumi felt anyway. Koizumi projects a future vision, while Hosokawa doesn't. The former lasted 5 years as the prime minister, the latter 9 months. Oh well. 2. Who is "anti-nuclear"? Just about everybody now (except for the ex-Chief of Staff of the Air Self Defense Force). "I have always been saying zero nuke plant." meaning he is all for gradually lessen the dependency on nuclear power. Prime Minister Abe chimes in from Ethiopia that he is hoping that the debate will be well-balanced, not just about the nuclear issue. As Mr. Koizumi remains popular and influential within LDP, the Abe administration officials are very reluctant to accuse Koizumi of "treason". Clearly, Mr. Utsunomiya and his political backers (Japanese Communist Party and Social Democratic Party) didn't expect the entry of Morihiro Hosokawa in the race with the backing from Junichiro Koizumi, who has been quite vocal in his anti-nuclear message of late. Social Democrats are trying to back out from supporting him, saying the anti-nuclear faction should rally behind Hosokawa. Social Dems bet too early, I suppose. Mr. Utsunomiya himself is accusing Mr. Koizumi for forcing a single-issue campaign. Some people ask, "What about yourself, Mr. Utsunomiya?" 4. Who is for 2020 Tokyo Olympic? Everyone. With a big target like Olympics, we can truly transform Tokyo. The official start of the election campaign is on January 23, and the election will be held on February 9. Nikkei Shinbun's Interview of Haruki Madarame (2/7): "I Didn't Know What Was Going On in the Room, I Couldn't Call for Help Because My Cellphone Didn't Work in the Basement"
"I assumed that the cooling system near the ocean had been damaged by the tsunami; there was no place to dump the heat (generated in the reactor core). To remove the heat, the only way was to pour water in the reactor core, and release the heat into the air in the form of water vapor. So I suggested that the vent be done in order to secure the space to remove the heat. At that point, I didn't think that the reactor core would start melting." "About evacuating the residents in the surrounding areas, it is supposed to be me who suggested the evacuation within the 3-kilometer radius. My memory on this is blurry, but I knew the IAEA's Precautionary Action Zone to be between 3 to 5-kilometer radius. So if I had been asked whether the 3-kilometer radius was OK, I must have answered that it was OK, and by the international standard the residents needed to be evacuated as a precaution. I must also have heard at the same time that Fukushima Prefecture had already instructed the residents within the 2-kilometer radius to evacuate." "In retrospect, I didn't know what was going on in the room. In a nuclear accident, NISA's Emergency Response Center (ERC, in the Ministry of Economy Annex building) was to be the command center. I assumed the ERC was doing the job, and I was there at the Prime Minister's Official Residence to explain things to the politicians. But I was answering a barrage of questions from my memory, without any reference material, not even a blueprint of the plant [reactors]. Commissioners [of Nuclear Safety Commission] started to gather in the office in the evening of March 11, but I couldn't make a call on my cellphone from the Crisis Management Center in the basement of the Prime Minister's Official Residence to get their help." His cellphone didn't work in the sub-basement... I don't know if it ever occurred to Dr. Madarame to go outside and make a phone call. Is he trying to tell us there was no landline telephone available at the Crisis Management Center? NISA was indeed doing the job at the Emergency Response Center that day. They had their own computer simulation done on the spread of radioactive materials and drawing up the evacuation plan that was based on the simulation. It was NOT the stupendous concentric circles like Mr. Edano and Mr. Kan came up with on their own. 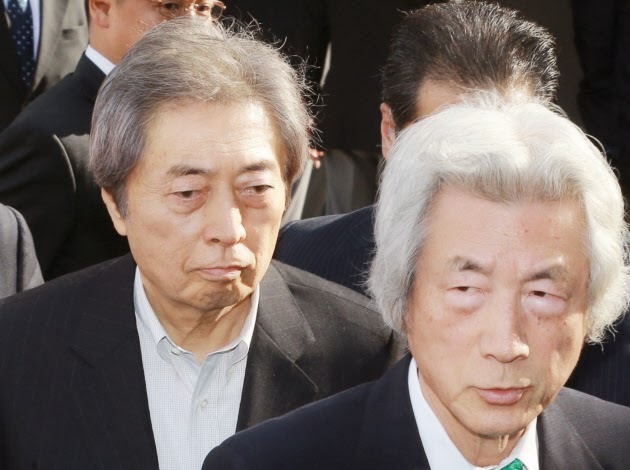 NISA's Deputy Director-General, after his boss left the building, had to deal with Prime Minister Naoto Kan, which he apparently did very poorly. He was a science major, but in electrical engineering. After receiving the Article 15 notice [ECCS failure in Reactors 1 and 2], I headed for the Prime Minister's Official Residence around 5:40PM [on March 11, 2011]. When I arrived there, I was led to the Prime Minister's Office on the 5th floor. Eiji Hiraoka, Deputy Director-General of NISA pleaded with me. I wondered, what was going on? 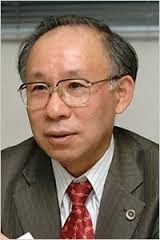 To begin with, it should be the Director-General of NISA, Nobuaki Terasaka who should be there. But he was nowhere to be seen. I heard it later that Mr. Terasaka couldn't answer the questions from Mr. Kan regarding the nuclear power plant. He was severely scolded, and left the building. I don't remember ever seeing Mr. Terasaka inside the Prime Minister's Official Residence. Mr. Terasaka is an administrative official at Ministry of Economy. He majored in economics in college. He may know economics, but when it comes to nuclear energy he was a rank amateur. But for whatever reason he was the director-general of Nuclear and Industrial Safety Agency, who should possess intimate knowledge of the [nuclear] technology. Since Director-General Terasaka couldn't answer, Deputy Director-General Hiraoka was grilled by Mr. Kan. Deputy Director-General Hiraoka is a technical official, but his major in college was electrical engineering and he didn't know much about nuclear energy. Was it Japan's misfortune? Was it Mr. Kan's ill fate? In the time like this, a qualified person wasn't in the appropriate position. A cry for help from Deputy Director-General Hiraoka could be understood in this context. Or someone who could shout back at Mr. Kan and tell him to shut up.